The cultural attaché of the European Commission Representation in the UK, Jeremy O'Sullivan has initiated a timely series on "Migration, Displacement and Identity". The series comprised music, poetry and writing about foreign lands. It included the readings and views on languages of a Finnish writer, Selja Ahava, who had lived in London for a long time and other European cities; music written by displaced composers, many of them forced to live as aliens on the Isle of Man during the second world war; popular songs sung by masses of displaced people between Greece and Turkey in the 1920s; and war poems written during the first world war, some put to music, others read in their original languages. These were very moving and thought provoking events attended by people who felt directly concerned about these tragic events and grateful that Europe managed to avoid wars among its peoples since 1945, not least owing to the European project. Now that the British people have turned their back on this undertaking, there appears to be a sudden surge of interest in Europe and European peoples. Now, after what seems to be seen as a safe escape from a sinking ship, it may be safe to find out what the ship was about, who was running it and where it was sailing to. Late in the day in what may become an irreversible process, mainly decided by those who have benefited from the pax europaea and not those who will live way into the 21st century. Admittedly, wars and uprisings did not cease in Europe after world war two and European countries continued also to wage wars outside Europe led by France, followed by the UK, notwithstanding NATO. "War Poems, the dead returning lightly dance" was an evening of music and poetry reflecting on themes of war and peace. 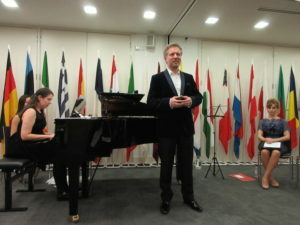 It was presented by "Poems on the Underground" and the music was performed by the Apollo Chamber of Players under the conductor David Chernaik. The chosen music was very European, Bach (prelude in G minor, well tempered clavier book 2), Richard Strauss Metamorphosen (septet version realised by Rudolf Leonard) and the modern centre piece by Evelyn Ficarra: 'War poems, the dead returning lightly dance' for large ensemble and recorded voices in their original languages. 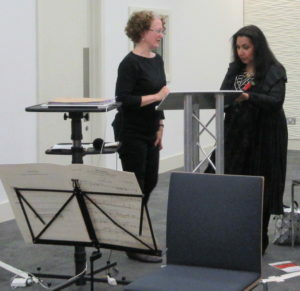 The composer participated in the performance consisting of five movements, each for one year of the first world war and each introduced live by Imtaz Dhaker in English. The first event on 'Migration, displacement and identity was presented by Pakaw a female folk group, joined by historians and commentators who shared in the experience of forced post-war transfer of population between Greece and Turkey in 1923 and its effects down to the present day refugee crisis. This event and the two following ones were curated by David Souden, Past Present ltd with support from the Royal College of Music. Pakaw included musicians from Greece and Turkey as well as an Asian woman who improvised on her violin. They sang in Greek and Turkish and summed up the stories of these songs, many of them nostalgic, others full of humour and accounts of everyday life. 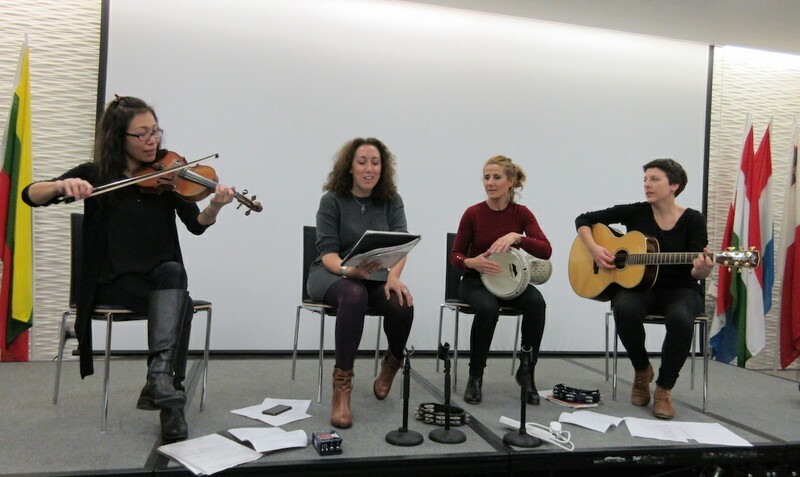 The music reflected that part of the world, south east Europe and beyond, with Yiddish and Roma influences. It illustrated how culture and art does not recognise political borders and unites may different peoples. This diversity in unity is an important aim of the European project. The European Union justifies rightly to use all the main languages of the 28 EU member states in all European institutions. Neo-liberal efficiency did not hesitate though to try to undermine this principle, contradicting one of the key characteristic and richness of Europe, namely its many cultures, customs and histories. 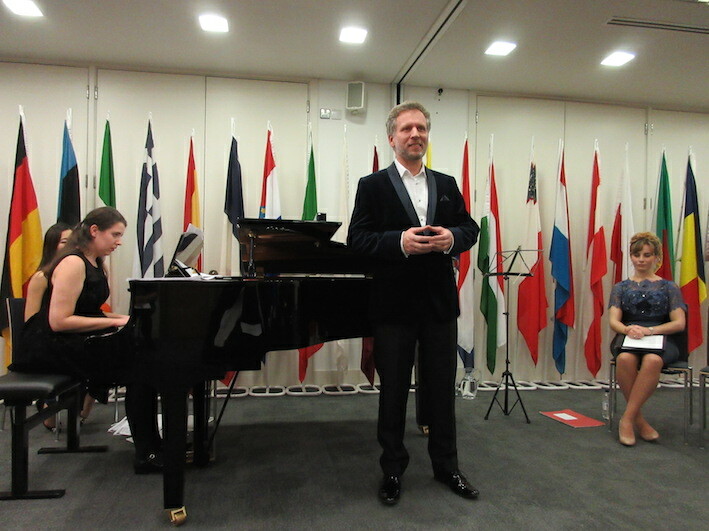 The second event "Singing a Song in a Foreign Land' was performed by the members of the Ensemble Émigré, Norbert Meyn tenor/director, Rosanna Cooper, mezzo soprano, Eunsley Park violin and Lucy Colquhoun piano and was led by Norbert Meyn. It was a combination of songs, and spoken words of composers, many of them Jewish, who had fled totalitarian regimes in the 20th century and sought refuge in Britain before and during the second world war. They met each other in internment on the Isle of Man where they played music together and composed. After the war many of them became an important part of major cultural institutions in Britain. Their music embraces multiple languages and cultural influences and styles and became a major international contribution. The ensemble selected music by European composers in various languages of the mid 20th century, some relating to war experiences, others to memory and identity. The third evening was dedicated to Selja Avaha, a Finnish writer very fluent in English and other European languages but whose work is written in Finnish and not translated into English. She was the first Finnish winner of the European Prize for Literature in 2016 for her novel "Things that fall from the sky". Supported by FILI, the Finnish Literature Exchange she read informal translations of her writings and discussed identity, linked to words, different idioms and thought processes. 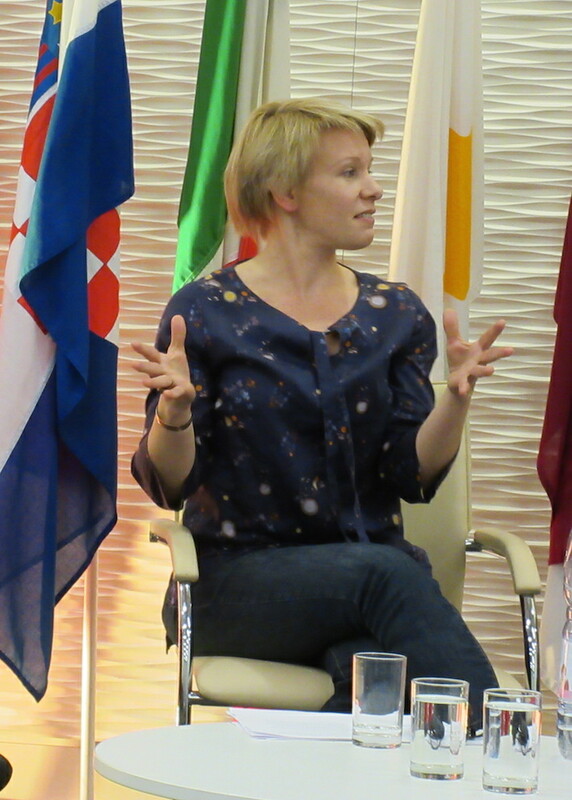 She and the panel of translators who read other extracts of European literature discussed why translation can never reproduce meaning exhaustively across languages as each of them is uniquely embedded in its culture. Not surprisingly, these events were attended by 'the converted', those who have direct geographic, historic, emotional and personal connections with these writings and music. Most of them were middle aged, many of them with a musical or a literary background. These events could have been eye openers for the many who are ill or dis-informed about all things European. How do these events relate to 'Urban Art and Culture"? Many of the poems were written in the trenches, the music in internment on an island, the fold songs sung on journeys between countries. Perhaps their content is more spatial than specifically urban, although their performances continue to take place in conglomerations of people, sometimes villages, often cities. The issues of migration, displacement and identity have repercussions on cities, as this is where many displaced persons are settling and have to relate their identity to new people and their built environment. © 2016 Urban Thinker. All images are copyrighted by their respective authors.